Thanasi Kokkinakis has admitted to being disappointed about missing out on a wildcard for the Australian Open, following his opening round loss Taro Daniel at Melbourne Park. 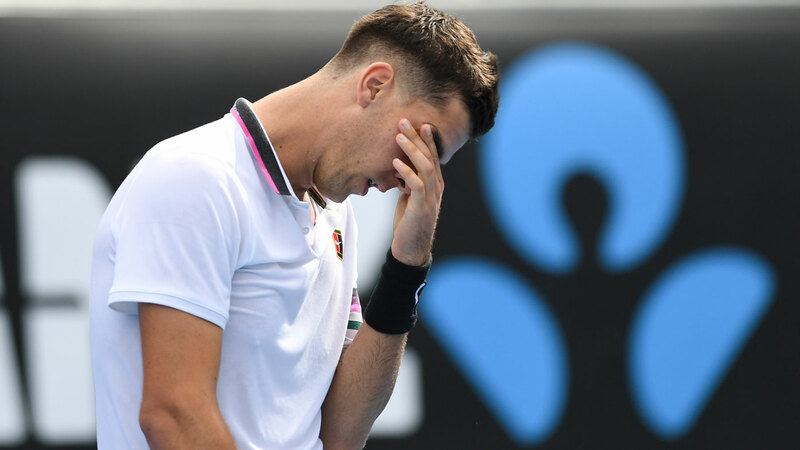 A struggling Kokkinakis couldn’t finish his opening round match and lasted only a set and half before going down with a pectoral muscle injury. The 22-year-old was forced scratch and claw his way through three rounds of qualifying to be given a shot at playing in the main draw, with suggestions the grueling process got the better of the Australian and potentially played a part in the severity of his injury which forced him to withdraw. While the wildcard snub gave him added motivation Kokkinakis said he thought he would’ve been in line to receive an easier path into the tournament. "Of course, I was disappointed. I thought I would have got one," he said. "When I got the call that I wasn't going to get one, my attention had to shift. "I used it to fire me up a little bit and work my way through qualies; I wish I'd come through qualies unscathed. "But it was a good little feather in my cap to qualify for a slam, especially the home slam. "Hopefully I'm not in that position too many more times." Despite being upset by the chain of events. Kokkinakis refused to get involved in the brewing conflict between Davis Cup captain Lleyton Hewitt and controversial star Bernard Tomic when addressed about the matter in his post-match press conference. Tomic dropped a bomb when he said that Kokkinakis and Nick Kyrgios no longer wanted to play Davis Cup under Hewitt, among other things. Reporters asked Kokkinakis if he would endorse Hewitt staying on as Australian Davis Cup captain following the comments but the first round loser chose to not to answer the question while also choosing not to endorse or deliberately distance himself from Tomic's remarks. "I don't really want to answer that stuff right now," said Kokkinakis. "I'm just pissed off I lost tonight (and) retired. "That's all I'm saying for that." 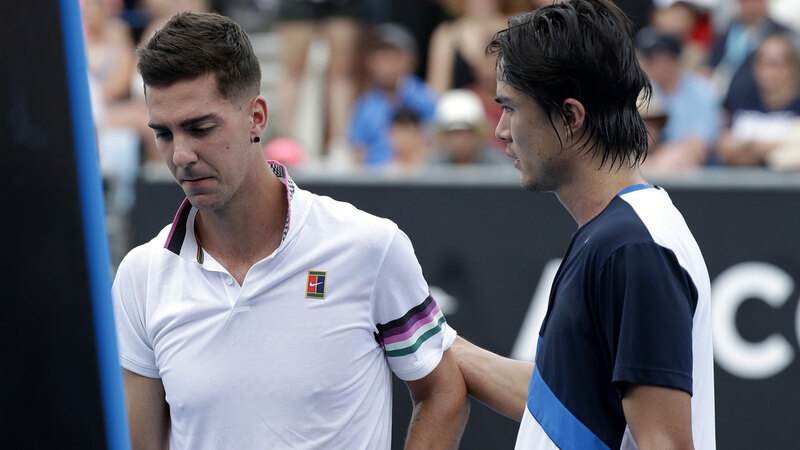 Kokkinakis looked comfortable in the early part of Tuesday's clash and won the first set 7-5 before calling for assistance in the second set to receive treatment on his right pectoral muscle. The Australian pushed on for another few games but eventually gave in at 4-2 30-0 in the second set. The forced retirement continued a wretched run for the talented Kokkinakis, who has long been hampered by serious shoulder and pectoral injuries. He also suffered a cracked kneecap last April in a frustrating campaign where he managed just nine tour matches for three wins. But among those those three victories was a win over Roger Federer at the World Tour Masters event in Miami - a tantalising reminder of just what Kokkinakis was capable of when not let down by his fragile body.